Oils used to be the bad guy, but now they’re all the rage. Every curly and her mama is raving about the benefits of coconut oil. But there is more to the world of oils than coconut and EVOO! Here are a few more oils that your hair (and skin) will be happy to be introduced to. 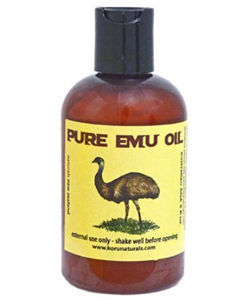 Emu oil is an all-natural oil obtained from the inedible parts of the emu, a flightless bird related to the ostrich. Aboriginal tribes in Australia have been taking advantage of the healing powers of emu oil for ages. Emu oil has an uncanny ability to cause cellular regeneration in the skin, making it excellent for burns and scars and even the effective reduction of wrinkles and the renewing of elasticity in the skin. Because it is hypoallergenic, antibacterial and rich in beneficial fatty acids, hair can also benefit greatly from regular use of emu oil treatments, and actually experience nearly three times its normal cellular activity. Emu oil can help hair appear livelier, healthier and be more resilient to environmental and hormonal stresses. Since it is also anti-fungal and antibacterial, emu oil helps to break down buildup and residue at the scalp and roots, which can increase volume and manageability. The moisturizing properties of the oil make it an ideal ingredient for conditioners. You can tell yarrow oil apart by its deep blue color. Add it to your shampoo and massage the scalp as it is known to regenerate the scalp and promote healthy hair growth. 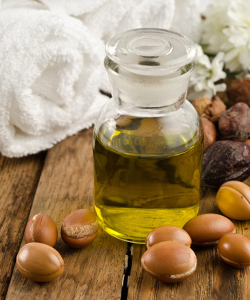 Women in Morocco have been using argan oil for generations to achieve more youthful, healthy skin. It reduces inflammation and redness, improves hydration, and can even been used to treat scars and acne. You can also use argan oil as a hair treatment for deep conditioning or as a pre-styling product-it restores shine to hair and helps mend split ends. 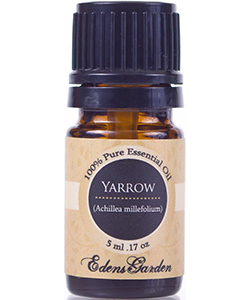 It’s packed with twice as much Vitamin E as other oils so it's also amazing for your nails and cuticles. 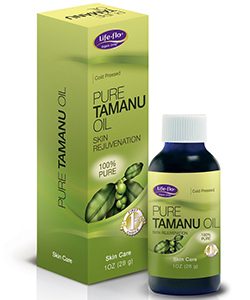 Tamanu oil is a nut-based oil with many known uses from reducing inflammation and irritation to helping with hair and skin regeneration, making it a great topical treatment for acne, sunburns, and scarring. Use on thick, dry hair as a moisturizing treatment before or after shampooing. You'll find that this oil is a little pricey because the Tamanu nut tree only grows in the Polynesian islands, so dilute it in a carrier oil like jojoba. Avocado Oil is rich in essential fatty acids that strengthen the hair and keep it moisturized, and the vitamin E it contains also conditions and moisturizes, while the proteins in avocado oil can fortify your hair. Applying avocado oil directly into your hair not only keeps the hair strong and beautiful, it is also beneficial if you are experiencing dandruff or scalp psoriasis. 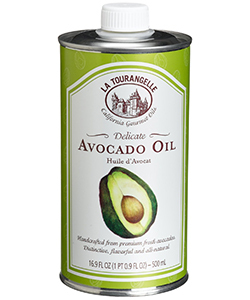 Avocado oil acts as a natural sunscreen, and helps to protect your hair and scalp from the harmful UV rays of the sun. 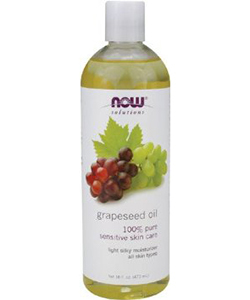 Grapeseed oil is a light oil that locks moisture inside the skin so cells have enough water to work efficiently. It can be used to nourish the scalp and hair without leaving the buildup of other oils that weigh the hair down. Jamaican Black Castor Oil has a traditionally been known as an all-purpose healing oil. Though it can be used to treat dietary ailments as well as to treat various skin disorders, it is now most popularly used in hair care. 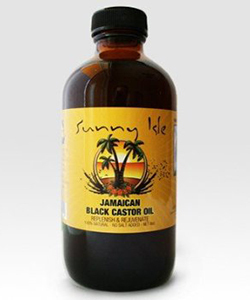 Many people turn to Jamaican Black Castor Oil to aid in hair growth. It has been proven to be extremely effective in this because it increases the blood flow to the scalp while also supplying nutrition to the hair follicles. Because JBCO is rich in vitamin E and omega 6 fatty acids, it is also excellent for treating damaged, dry, and brittle hair by providing intense moisture to the hair and scalp. It also acts as a humectant, so it attracts and locks moisture into the hair shaft. Jamaican Black Castor Oil can treat and prevent dandruff and dissolves any build-up from hair products or from other sources that has accumulated in the pores of the scalp. In its all natural form, it is also safe to use on eyebrow and eyelashes to thicken their volume as well.